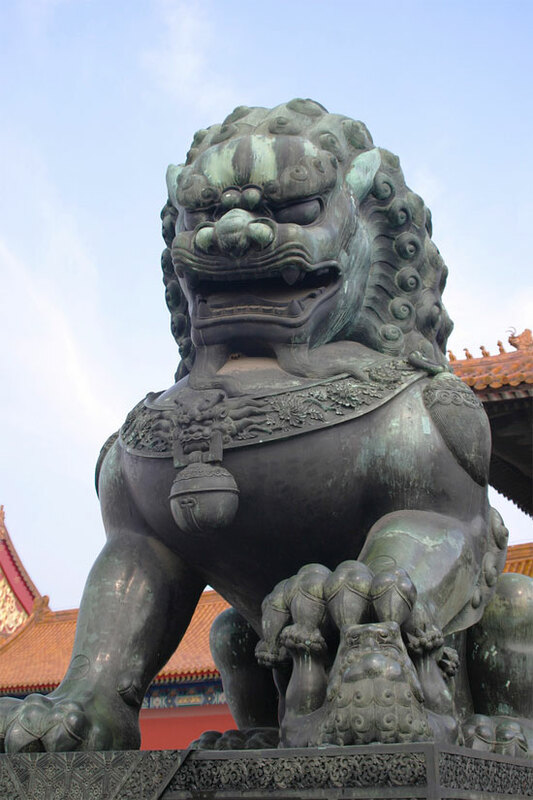 Foo Dogs or guardian lions, are the sacred and ancient dogs of Asia that have traditionally guarded palaces, temples, tombs and residences. These companions of Buddha make a strong statement and have magnificent aesthetic appeal in any room, entryway, or garden space. Foo Dogs are viewed as protectors and defenders of law, and have a rich history of legend and tradition. They are often displayed in a male/female pair, with the male holding one paw on a sphere symbolizing the Earth, while the female holds a cub. They come in many shapes, sizes, different materials, and colors. Their faces have a mischievous look about them; their eyes are normally wide open with a tiny speck in the middle. This threatening appearance is said to discourage wrong doers and demon spirits from entering and thereby bring peace and serenity to any sanctuary that they guard. Our new Foo Dogs are in! Visit our Trade Wind Statues store to see the our Foo Dogs and other new beautiful inventory! This entry was posted in Buddha Statues. Bookmark the permalink.